Here we are, we have a few goals we are working on. If you are like most side business owners, you have a handful of goals you would like to meet over the year, or over the next 12 months. On one hand that can seem overwhelming - so much can happen to derail your plans between now and then. And on the other hand, you could loose your sense of urgency to meet the goals because you might think “Oh, I’ve got all year to get this goal.” One thing I have learned from my coach is to set goals with appropriate deadlines and time frames. 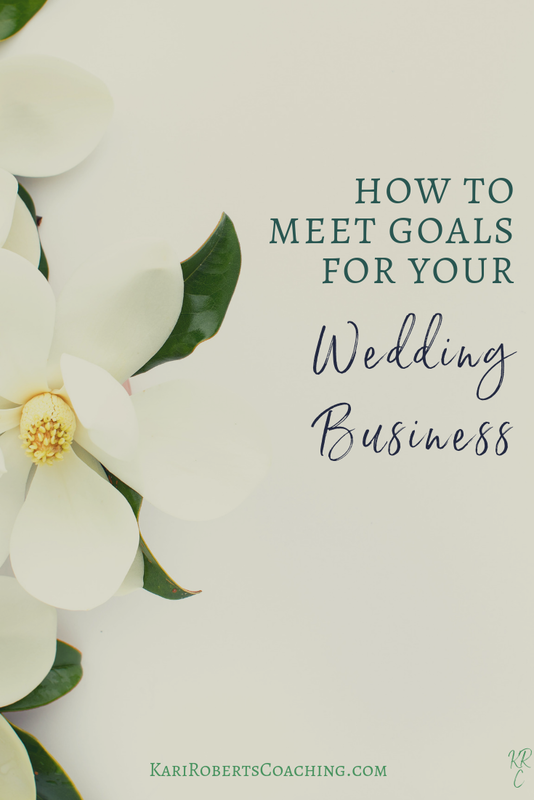 Here are 3 things you can do to help you meet your wedding business goals. If you have a yearly goal break it down to 3-,month, or quarterly goals. That way you know how much effort to put toward that goal. For example, if your yearly goal it is to book 12 weddings, and in quarter 1 you book 6, you can adjust your efforts to something other than marketing for one of the other 3 quarters since you did so well in the first quarter. After you break that goal to a quarterly goal, then brake it down to a monthly goal. If you get the goal met in the first 2 months, you could table that goal until you revisit it for the start of the next quarter. Or lets say you have a busy month with family obligations. You could shift your monthly calendar to light on the months that you are personally busy and allot more tasks for business on months when you are less busy. After you have your monthly goals, then use that to write your weekly to-do list. 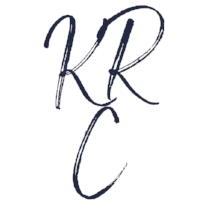 The reason why you are reading my blog in the first place is because you are a very busy wedding entrepreneur and you are looking for some goal setting and goal meeting advice. Trust me when I say only write 3 things on your to-do list. I know, I know, there is always more on the list that need to be done, but you have to be critical here - pick 3 that are top priority. I call that the A-list, then you can have a back up list, I call that the B-list. You and keep going if you choose. I hold myself to A-list and the B-list is “bonus.” That way it prevents me from spending a whole lot of time doing something that really didn’t help me work towards my goal. And it also helps me look at my big picture goals on a weekly basis. So going back to booking weddings. Instead of the goal being: I want to book more weddings. It can be: I want to book 12 weddings by December 31st. It is specific. You can measure it. It is attainable, roughly 1 wedding booked per month. It is a rewarding goal. If you didn’t book 12 last year, booking this meaning will feel really good. And it is simple and easy to track. So my friend does this seem a little less stressful? I used to work with a lady who used to say: the easiest way to eat an elephant is 1 bite at a time. LOL. It is silly but true. Just make those goals little nuggets and start chipping away, 1 little bite at a time. If you want to chat with me about your specific goals apply for a call. I would love to hear from you!